Justin has patent prosecution experience in the areas of mechanical and electro-mechanical devices, chemical sensors, protective surface coatings, microfluid devices, chemical processes, medical devices, heat transfer systems and industrial equipment. Justin also has a strong understanding of international patent filing strategies. 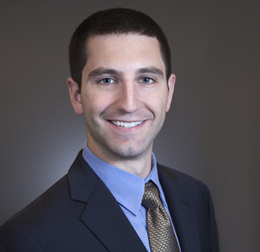 Prior to joining McCormick, Paulding & Huber, Justin worked in General Electric’s Global Patent Operation. As part of his Master’s program, Justin studied in a research laboratory focused on innovative membrane fabrication techniques designed for water purification applications. Justin’s research experience includes characterization of polymer blends, particularly, ionomer blends.